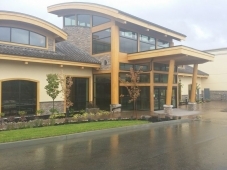 Nicola LogWorks is a log home and timber joinery company in Merritt, BC that applies innovative and traditional techniques to building wood structures. We serve BC markets including Kamloops, Kelowna and Merritt, and we also build and ship log homes to customers across Canada, the United States and Internationally. 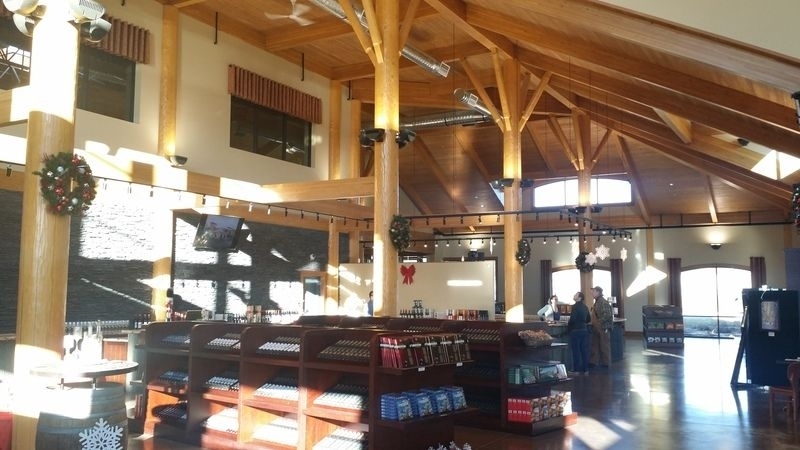 From custom hand-crafted log joinery and creative design solutions to 3D modeling and robot assisted building, our team's combined expertise at LogWorks allows us to take on a great diversity of projects for residential and commercial customers. 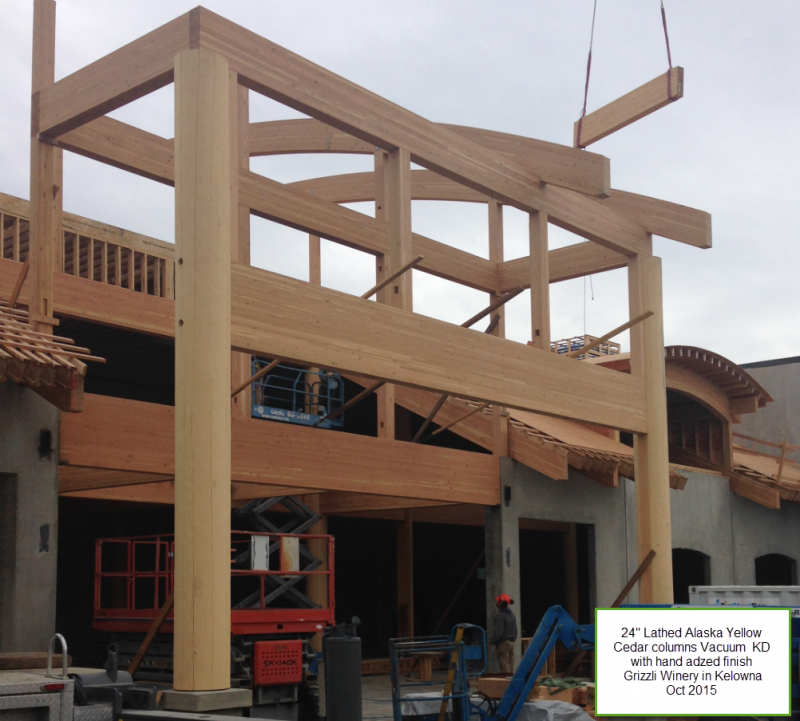 Our work ranges from building modest log cabins to fabrication and installation of heavy timber and massive engineered wood for complex construction projects, such as the Cross-Laminated Timber panels for one of the tallest wood structures in North America;the Wood Innovation and Design Centre at UNBC in Prince George, BC. 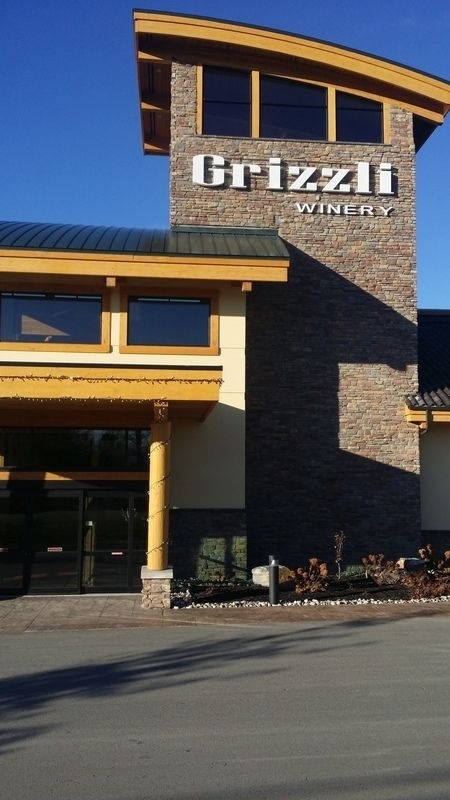 In 2015, Nicola Logworks applied our timber installation experience to Grizzli Winery in West Kelowna, BC. You will see in the first photo the sizable sections of timber included in the design. 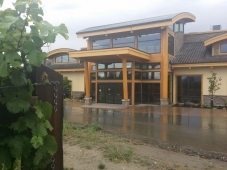 The finished structure is incredibly spacious and bright, and blends eclectic architectural features with innovative use of windows, wood, roof tiles, bricks and other materials to achieve truly unique Okanagan Valley character. At Nicola LogWorks we serve both residential and commercial customers but our greatest passion is in producing various styles of log and timber homes for customers around the world. Our residential log and timber products include post and beam, timber-frame, dovetail log work, post and beam log work, custom built stairs and the timber detail work that make a house cozy, warm and inviting. 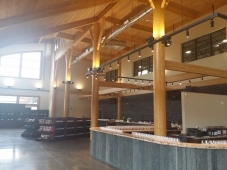 From dream homes to complex commercial projects incorporating mass engineered wood, give us a call at Nicola LogWorks and we will be happy to work with you.